PT Angkasa Pura Hotel - APH or most commonly known as "Angkasapura Hotels" is a rapid sustainable growth company in Indonesia running business in hospitality industry. Angkasapura Hotels engaged in providing hotel facilities, restaurant, CIP Lounges and the other hospitality services. 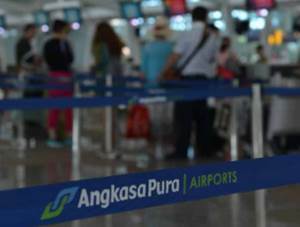 PT Angkasa Pura Hotel is a hospitality subsidiary company of PT Angkasa Pura I (Persero) or Angkasapura Airport Group, one of the largest state-owned airport magement services companies in Indonesia. Angkasapura Hotels is based in Jakarta and runs its business through 5 hotels porfolios (in operational and under development), comprising Hotel APH Rawasari Jakarta, Airport Hotel Novotel APH Bali, Airport Hotel APH Balikpapan, Airport Hotel Ibis Budget APH Makassar, and Airport Hotel APH Manado. In term of financial performance, PT Angkasa Pura Hotel especially achieved an exceptionally spectacular performace in 2014 through increasing sales revenues. According to PT Angkasa Pura I (Persero) Annual Report 2014 as quoted by JobsCDC.com, PT Angkasa Pura Hotel booked total sales value of Rp 48.86 billion in 2014. This reflected an 682.8% from Rp 6.24 billion in 2013. Minimum S1 in Psychology, Human Resource Management or equivalent. Minimum 3 years of experience in the related field, preferably as a staff specializing in Human Resource or equivalent. Previous experience in Human Resource area : dealing with user, talent and performance area. Client service oriented, self motivated and detail oriented. Computer literate, minimum Microsoft Office 2007 (Word, Excel and Power Point). Fluent in English, both speaking and writting. JobsCDC.com now available on android device. Download now on Google Play here. Please be aware of recruitment fraud. The entire stage of this selection process is free of charge. PT Angkasa Pura Hotel - Human Capital Staff Angkasapura Airport Group July 2016 will never ask for fees or upfront payments for any purposes during the recruitment process such as transportation and accommodation.